Home Community Marlow gets a Spring Clean, and a Wombles story…..
On Saturday, Marlow got a spring clean, as part of the national Great British Spring Clean day. Marlow Town Council organised our town’s cleanup, having put out the call for local residents to volunteer and take part. 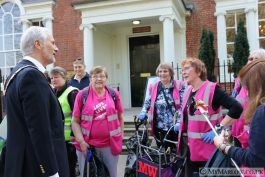 There was a fantastic response, and when MyMarlow arrived to take some photos we were greeted by a cheerful crowd of Town Councillors and plenty of local residents, including the “Marlow Wombles” group. Well done to everyone who took part! And what about those Wombles…? 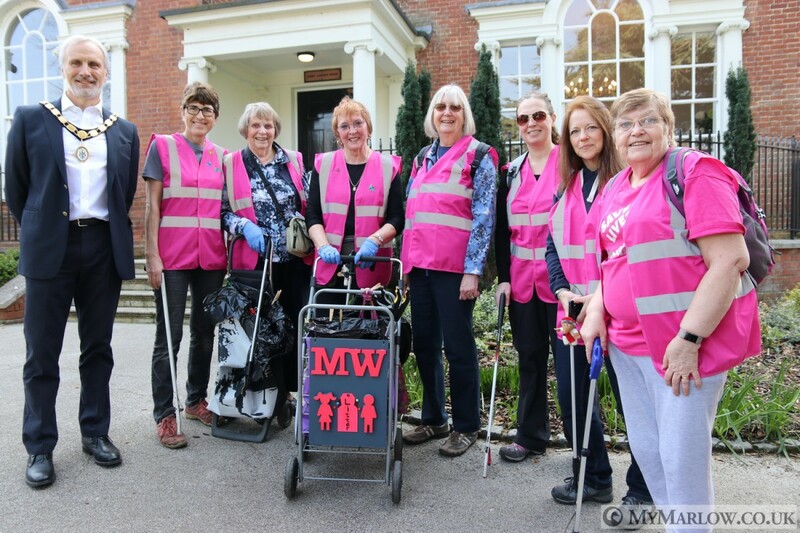 We spoke to Maxine Caswell of Marlow Wombles– a local volunteer “action group” that has recently formed to help keep Marlow’s streets as free of litter as possible. The group was formed last year following discussions on social media about litter in town, ending with a comment “maybe we should do something about it…”. This led to Maxine, Emma Hawkins and Alison Edwards being the first 3 members of what they would later call “The Marlow Wombles”. A Facebook Group followed, which has already reached 70 members. Maxine then explained “What we really want is for businesses to get involved to sponsor benches, litter-bins & flowerbeds… or to simply make donations, as most Wombles pay out from their own pockets, for litter-pickers, bin bags and so on. Next articleWater load of fun at Westhorpe!